Between ages 2 - 10 years, a child will continue to grow at a steady pace. A final growth spurt begins at the start of puberty, sometime between ages 9 and 15. The child's nutrient needs correspond with these changes in growth rates. An infant needs more calories in relation to size than a preschooler or school-age child needs. Nutrient needs increase again as a child gets close to adolescence. A healthy child will follow an individual growth curve, even though the nutrient intake may be different for each child. Parents and caregivers should provide a diet with a wide variety of foods that is suited to the child's age. Healthy eating habits should begin during infancy. This can help prevent diseases such as type 2 diabetes, high blood pressure, and obesity. Poor nutrition can cause problems with a child's intellectual development. A child with a poor diet may be tired and unable to learn at school. Also, poor nutrition can make the child more likely to get sick and miss school. Breakfast is very important. 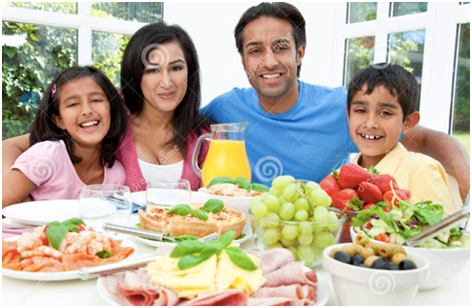 Children may feel tired and unmotivated if they do not eat a good breakfast. Childhood is a time of rapid growth and change. Your child will have more pediatric well-child visits when they are younger and developing the fastest. Each visit includes a complete physical examination. At this exam, the health care provider will check the infant or child's growth and development in order to find or prevent problems. The health care provider will record your child's height, weight, and other important information. Hearing, vision, and other screening tests will be part of some visits. Even if your child is healthy, well-child visits are important because it is good time to focus on your child's wellness. This means talking about what is being done well and how it can be improved. Preventive care is important to keep children healthy. Set a positive example by leading an active lifestyle yourself. Make physical activity part of your family's daily routine by taking family walks or playing active games together. 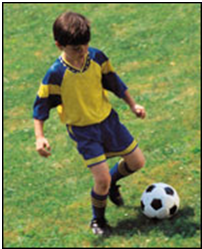 Give your children equipment that encourages physical activity. Take young people to places where they can be active, such as public parks, community baseball fields or basketball courts. Be positive about the physical activities in which your child participates and encourage them to be interested in new activities. Make physical activity fun. 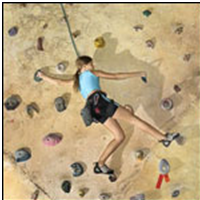 Fun activities can be anything your child enjoys, either structured or non-structured. 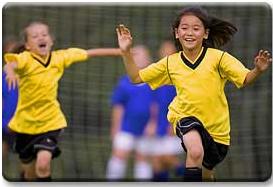 Activities can range from team sports or individual sports to recreational activities such as walking, running, skating, bicycling, swimming, playground activities or free-time play. Instead of watching television after dinner, encourage your child to find fun activities to do on their own or with friends and family, such as walking, playing chase or riding bikes. Be safe! Always provide protective equipment such as helmets, wrist pads or knee pads and ensure that activity is age-appropriate. Well-child visits are key times for communication. Expect to be given information about normal development, nutrition, sleep, safety, diseases that are "going around," and other important topics such as what to expect as your child grows up. Make the most of these visits by writing down important questions and concerns to bring with you. Special attention is paid to whether the child is meeting normal developmental milestones. The height, weight, and head circumference are recorded on a growth chart, which the health care provider keeps with the child's medical record. This can be a great start for a discussion about your child's health. Ask your doctor about the body mass index (BMI) curve, which is the most important tool for identifying and preventing obesity. Your provider will also talk about other wellness topics such as family relationship issues, school, and access to community services. There are several schedules for routine well-child visits. In addition to these visits, call and visit a health care provider any time your baby or child seems ill or whenever you are worried about your baby's health or development. Immunization Schedule-If your child has missed any vaccination please ask your doctor about it. Include muscle strengthening activities, such as gymnastics or push-ups, at least 3 days per week as part of your child's 60 or more minutes. Include bone strengthening activities, such as jumping rope or running, at least 3 days per week as part of your child's 60 or more minutes. Balance the calories your child eats and drinks with the calories used through physical activity and normal growth.Overweight and obese children and teens should reduce the rate of weight gain while allowing normal growth and development. Don't put your child on a weight-reduction diet without talking to your health care provider. Balancing calories: Help Kids Develop Healthy Eating Habits Offer your kids nutritious meals and snacks with an appropriate number of calories. You can help them develop healthy eating habits by making favorite dishes healthier and by reducing calorie-rich temptations. Reduce sedentary time. Although quiet time for reading and homework is fine, limit "screen time" (TV, video games, Internet) to no more than two hours a day. The American Academy of Pediatrics doesn't recommend TV for kids age 2 or younger.12 Encourage your children to find fun activities to do with family members or on their own that simply involve more activity. 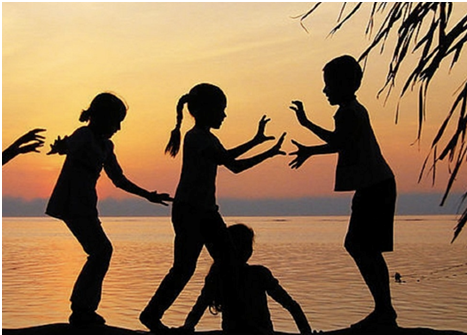 Children are more likely to keep to a healthy lifestyle if it's made fun for them. Here are some ideas for how to help them prepare, and even cook, their own meals and choose activities they enjoy. Whether your child is in reception or year 6, it's always a good time to teach them how to take care of their bodies by fighting fat. Take your child grocery shopping with you and help them prepare a meal by themselves. Get your children used to cooking healthy food by letting them help with this simple recipe for smiley salmon fishcakes. 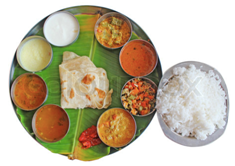 Explain to your child how to get the balance of their diet right using the eatwell plate. It shows how much you should eat from each food group. Show your child how to read food labels, for example to check the sugar and fat in snacks. Even small children can understand the traffic light coding on some food packs. Eating advice on Change4Life includes shopping tips, cooking ideas, how to cut back on salt and fat, and sugar swaps. Young children (aged 5-6), can make their own cookbook, choosing their favourite healthy recipes, getting tips on being a top chef and even making a shopping list. Physical activity is an important part of achieving a healthy weight. 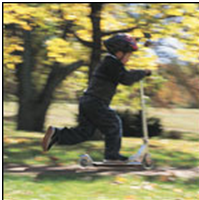 It's recommended that children have at least 60 minutes of physical activity a day. If your child isn't used to being active, encourage them to start with what they can do and build up to 60 minutes a day. They're more likely to stick to their new activity levels if you let them choose the type of activity they're comfortable with. Children under 5 might like this LazyTown game to get them active. Older children might prefer to use their smartphone. There are lots of great fitness apps. Map My Walk is a free app that counts your steps when going for a walk (or jog) and counts the calories used too. Or, they could use a pedometer or step counter to keep track of how many steps they're taking. Look for little ways throughout the day to get your child moving, such as playing hide-and-seek and tag (for younger children), and walking or scootering to school. Be sensitive to your child's needs. If they feel uncomfortable participating in sports, help them find an activity that they will enjoy without feeling embarrassed, such as dancing, skipping or cycling. Some will prefer to take part in a team activity, rather than solo pursuits. The school your child attends should provide opportunities for physical activity and healthy food at lunchtime. Some schools will help to ensure that your child does not bring unhealthy foods to school, by working with parents to set guidelines on healthy packed lunches. Schools also often offer a range of after-school activity clubs in football, netball, dancing, martial arts, gymnastics and so on, and these are a great way for your child to boost their activity levels. Check with your school exactly how much time your child spends on physical activity each day so you have an idea of the shortfall, if any, that they need to make up on school days. An age-appropriate diet is one that provides adequate nutrition, is appropriate for a child's state of development, and can help prevent childhood obesity. 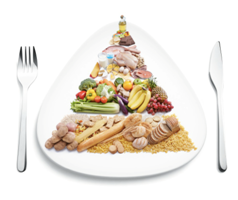 Throughout childhood and adolescence, it is important that the diet include a variety of foods for proper development. After the age of 2, it is recommended that the diet be moderately low in fat, as diets high in fat may contribute to heart disease, obesity, and other health problems later in life. In areas where water is not fluoridated, fluoride supplementation is recommended. A diet that contains a variety of foods from each of the food groups (breads and grains, meats, fruits and vegetables, and dairy) will help prevent nutrient deficiencies. The nutrients that are most likely to be deficient in a child's diet are calcium, iron, vitamin C, vitamin A, folic acid, and vitamin B6. Children who consume little or no dairy products are at particular risk for calcium deficiency that can interfere with bone growth and development. Foods that are good sources of calcium include low-fat or nonfat milk, yogurt, and cheeses. Iron requirements vary by age, rate of growth, iron stores, increasing blood volume, and rate of absorption from food sources. Adolescent girls will have increased iron needs due to menstrual losses. Food sources of iron include meat, fish, poultry, iron-fortified cereals, spinach greens, and dried beans and peas.